You’re about to embark on the final steps of your building project; painting. You may want to know how much paint you need but as with most things in Zimbabwe, it’s difficult to know how much you need so you just leave this information to the painter. 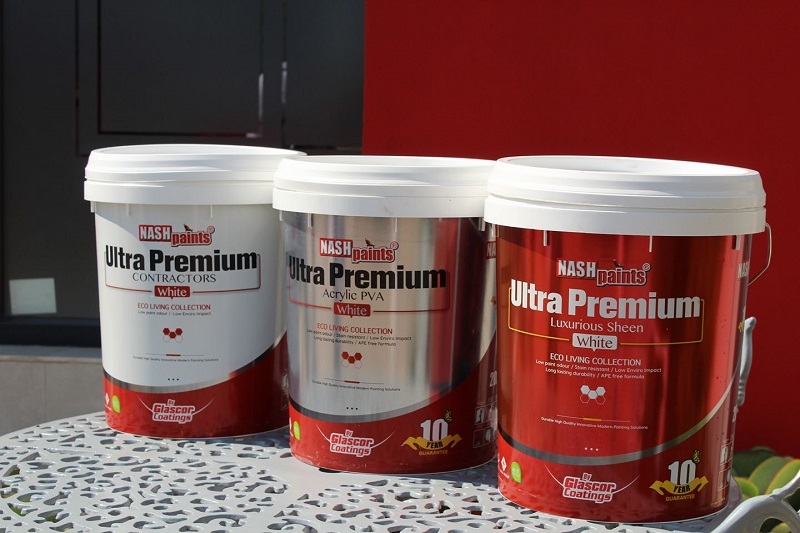 Nash Paints partnered with George Muranganwa to create a tool that allows you to know how much paint you need for walls, doors and windows. The Nash Paints Calculator is a convenient and great tool if you’re a DIY enthusiast who prefers to go about some of these projects on your lonesome. The tool comes with a selection of 45 paint types to choose from and this means that whether you’re painting a room, pool, tennis court or most things you can think of the calculator still has your back. After you’ve selected your product/paint type you can enter the dimensions of whatever surface you’ll be painting on; be it a wall, door or a window. The calculator then uses these dimensions to calculate the area of whatever surface you’re painting on and gives back the number of litres you’ll need for either a single coat or for two coats. You can also select if the surface you’re painting on is normal (even), rough or alternatively if there will be a light colour overcoating a dark colour. If you’re still relying on painters to get these figures you can still use the calculator to reconcile with him and understand any differences in whatever figure he/she ends up suggesting that you buy.